While Belarusian authorities bitterly criticize NATO intervention in Libya, they actively advocate the idea of foreign troops helping post-Soviet dictators remain in power. Since July Belarusian ruler Alyaksandr Lukashenka has sought to strengthen the Collective Security Treaty Organization (CSTO). He proposed to turn the CSTO into an anti-revolution alliance. Although yesterday Russian daily Izvestia quoted an anonymous Kremlin official saying that the Belarusian leader “vulgarized” the idea and there was no agreement on using the CSTO to prevent coup-d'etats,* changes in the organization can seriously reconfigure post-Soviet politics. Belarus joined the 1992 treaty which established the CSTO only after heated debates in parliament – then an important institution in Belarus. The speaker of the Belarusian parliament publicly protested against joining the organization but had to sign the CSTO treaty in 1993 following the majority's decision. Belarus was the last country to sign the treaty. Other member of the CSTO include Armenia, Kazakhstan, Kyrgyzstan, Russia, Tajikistan and Uzbekistan. Russia clearly dominates in the organization. Today Lukashenka has many reasons to promote the CSTO and turn it into an anti-revolution alliance. His own position is weakening both domestically and internationally day by day. Fearing revolution, he is tryingto obtain guarantees of his protection from the CSTO and even foreign military intervention to stop possible civil unrest. In addition, Lukashenka currently acts as chairman of the CSTO, and apparently likes the idea of gaining political weight by making the organization more powerful. The Russian media, quoting a source in the Russian foreign ministry, revealed yet another proposed provision to the CSTO decision-making procedures. According to Commersant the changes purport "to renounce the consensus principle and noone except for Uzbekistan is against it.”* Until 2005 Uzbekistan tried to stay away from post-Soviet integration projects but the Andijan massacre made Karimov seek Russian help against a possible revolution in his country. Minsk and Moscow have already agreed to act together against Uzbek president Islam Karimov. “If anyone does not want to abide by the Statute functions, then he shall quit it [the CSTO] and should not hamper the others,” said the Belarusian strongman. Clearly the message was for Karimov – neither man has hidden his antipathy towards the other in the past. 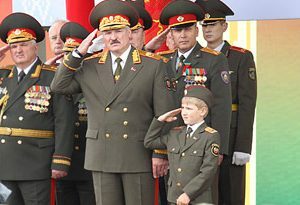 Entering the “military political bloc”, Lukashenka once again disregarded the Belarusian Constitution which declares the neutrality of Belarus. Such a policy also contradicts the principles of the Non-Alignment Movement that Belarus has been a member of since 1998. The Belarusian government is now trying to include in the CSTO constituent documents a provision that “military bases of foreign countries shall be established in member countries upon agreement with the Council of the Heads of States of the CSTO”. This provision is not particularly important for Belarus. Most likely it acts as a proxy for the Kremlin, which constantly fears any new Western military presence in its former empire. As Russian daily Kommersant put it, the latest CIS summit in Dushanbe demonstrated that for Russia the CIS was no longer the most important organization, and its focus has shifted to the Customs Union (currently with Belarus and Kazakhstan) and CSTO, both of them to be seriously reorganized. * Kommersant's sources have also confirmed that the transformation in both organizations has not only begun but that they already coordinate implementation of concrete decisions. Ukraine is still trying to combine European and post-Soviet integration projects. Lukashenka has already made the choice for Belarus, exchanging its sovereignty for his chance to stay in power a bit longer. Winston Churchill once said that tyrants never leave behind a decent country. In addition to immense economic and social troubles, heavy debts, undermined rule of law and other ills, the post-Lukashenka Belarus will also have to deal with the liability of dubious international commitments. Unfortunately, the Belarusian opposition and independent media failed to explain to the nation the seriousness of the CSTO-related developments. Preoccupied with economic survival, Belarusians did not even notice that the government is about to engage in a pact which will significantly limit Belarusian sovereignty. It may also expose Belarus to military confrontation with other post-Soviet countries. Under pressure from the West, Belarusian authorities have begun to release political prisoners. It appears that Lukashenka is prepared to take a long time to release all prisoners to reap as many benefits as possible. Over a dozen protestors and three former presidential candidates have been in custody since 2010. Lukashenka negotiates release of political prisoners. 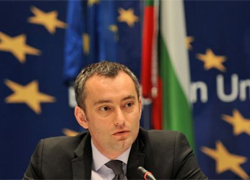 Reuters reported that Bulgarian Foreign Minister Nikolai Mladenov met Lukashenka in Minsk last week. According to Mladenov's letter obtained by Reuters, Lukashenka has agreed to release at least four prisoners by the end of this week and drop charges against another two. All remaining political activists would be released by the beginning of October. Pardoned political prisoners. On 1 September Lukashenka pardoned four more people convicted on the mass riot case of the Ploscha events on 19 December 2010. They are Ales Kirkevich (Young Front), Andrey Protasenya (Romanchuk’ election team), Oleg Gnedchik and Dmitriy Doronin (civil activists). Earlier, on 11 August, nine other participants of the Ploscha events were pardoned. All of them had to write a pardon letter to Lukashenka. Charges dropped. On 23 August criminal charges against seven people on case of mass riots in Minsk on December-19 were dropped due to lack of evidence. These people are Ryhor Kastusiou (ex-presidential candidate), Natalia Radina (journalist), Oleg Korban (United Civic Party (UCP) youth organization), Anatoly Lebedko (UCP Chairperson), Anatol Paulau (UCP member), Ales Arestovich (Statkevich’s election team), and Vladimir Kobets (Sannikov’s election team). Key figures remain in prisons. Around 15 people remain in prison convicted under articles of the Criminal Code for organization or participation in the Ploscha events on December 19, including three ex-presidential candidates: Andrey Sannikov (5 years), Nikolay Statkevich (6 years), Dmitriy Us (5.5 years). Ales Byalyatsky, chairperson of the Human Rights Center Viasna has also been in prison since 4 August on tax evasion charges. Ihar Sluchak sentenced to 3 days imprisonment. On 30 August, Gomel District Court found Ihar Sluchak guilty of using obscene language in public and sentenced him to 3 days imprisonment. Ihar Sluchak was detained on 26 August, when he was going to his press-conference to discuss ways to translate the Ministry of Internal Affairs’ paperwork into Belarusian. KGB questioned EHU students. Several students of the Vilnius-based European Humanities University were questioned by the KGB across Belarus last week. Interrogations have been reportedly held in Minsk, Svetlahorsk, Slutsk, Homel. The secret services inquired about the EHU structure. Russian human rights activist is announced persona non grata in Belarus. On 27 August, at the Belarusian-Lithuanian border crossing, Jury Zhyblade, a member of the Russian Presidential Council on Civil Society and Human Rights, was denied entry to Belarus. From March 2011, ten more people – citizens of Russia and Ukraine, involved in the work of the Committee on International Control, – were deported from Belarus or not admitted, receiving a ban on entry into the country for several years. Initiative against the nuclear power plant. On 30 August, the civil initiative “Astravetsk plant is a crime” held a press conference in Minsk. Head of the initiative Mikalay Ulasevich said that the Belarusian nuclear power plant project is “a military-political project…. which Russia launched in order to economically incorporate Belarus”. Roundtable in the lobby. On 31 August, the non-profit institution "For Auto" had planned to hold a roundtable "Fuel and Energy Complex of Belarus: prices for fuel and linkages with other economic sectors" in the lobby of the Minsk Hotel "Orbita". The day before, the hotel administration abolished booking the conference room due to "technical reasons". As a result, civil activists had a conversation with two government officials in the hotel lobby. Model program for training of andragogies. On 8-9 September, the final international round table "Long-life education: a model program for training of andragogies" will be held in Minsk. The event is implemented jointly by «Deutscher Volkshochschul-Verband eV» (German Adult Education Association) in Belarus and The Academy of Postgraduate Education. The project was funded under the German Support Program for Belarus and was aimed at improving the quality of educational services in Belarus. People Journalist. The NGO Assembly, Belarusian Movement and other organizations have announced a call for local leaders, journalists and active people. The participants should describe problems in their communities and offer solutions. The best texts will be issued and distributed in leaflet form. The two winners will get a MacBook, the other participants – prizes such as satellite television sets to watch Belsat. The best ten participants will be awarded a trip to Poland.